“In the beginning, God created the heavens and the earth. 2 The earth was without form and void, and darkness was over the face of the deep. And the Spirit of God was hovering over the face of the waters. This verse takes me back to Ebenezer Baptist Church where on a Sunday morning my young mind was blown. Our Sunday school teacher was teaching us how God created the universe and a young Coach Chè was immediately struck with awe, “you mean He just spoke those word, He didn’t even use His hands and the entire universe was created?” That revelation planted a seed in me that would later lead me to pursue a degree in Communications, I needed to know more about the power of words. Words carry immeasurable significance, Proverbs 18:21 says “Death and life are in the power of the tongue,” they’re powerful, they can create and destroy, build and burn down, save and condemn. God created and upholds us by His word. As Christians, we know this truth, but often we are not diligent in harnessing this power. So, by her reasoning, when I used “I am” and followed it with something negative, I was speaking negatively about God, thus using His name in vain. Touché, again, my mind was blown and a lifelong lesson learned. 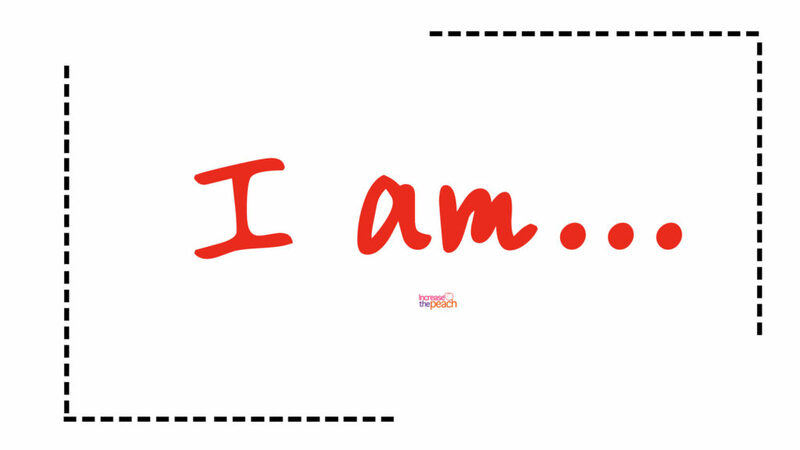 You’ve probably heard of speaking positive affirmations, or the not so secret, Secret Law of Attraction which all state that by consciously feeding your success with an affirming statement will help you feel empowered and soon your actions will follow. Speak what you seek! This is absolutely true, the confessions of our mouths will bring life to the things we speak. So, when my classmate lovingly corrected the way that I spoke she was essentially reaffirming that my words have power. He didn’t ask who do you believe that I am but specifically what are you saying about me. Actions can easily be justified when they don’t match up with what we’ve claimed to believe, but the words we speak are a bit harder to justify. What we speak helps us to better understand what we really believe and what we believe is the foundation for what we practice. You’ve heard it, practice what you preach. Peter’s claim served as the foundation for everything God would build in this world and it was the foundation that Peter would build his life upon. All of Peter’s actions would be influenced by this foundational belief. So far we know that words are powerful, and what we believe sets our foundation, but still, in order for our actions to line up, we have to speak it. If we are willing to confess these statements as truth, the promise and pledge is that we’ll have the foundational rock on which our lives can thrive. Okay, let’s tie this all together. Using God’s promise to power your workout begins with training your mind before you train your body. Faith it ’til you make it. Our faith compels us not to speak doubt but only things that the word of God declares to be true. Equipped with the truth we are set free to be all that God has called us to be. What we declare with our mouths will eventually give life to what we see. As we set out to start this week, let’s ask ourselves these questions: What is our foundation? What do we say? What do we believe? I challenge you to use God’s promise and pledge to create an empowering statement (feel free to use the verses of above to craft your life-giving truth statement) to remind yourself daily that our Heavenly Father has made us complete providing everything that we need and that as a child of God you have inherited such a power that can create a universe.